I posted my May wrap up and said that I would probably get to another book, and get to another book I did. I have been desperate to continue The Raven Boys series since reading the first book last week as part of the #ScallywagAThon challenge. I read The Dream Thieves in one, very warm and stormy, afternoon and my goodness it was good – so good that yet again I couldn’t find the right words for this review. 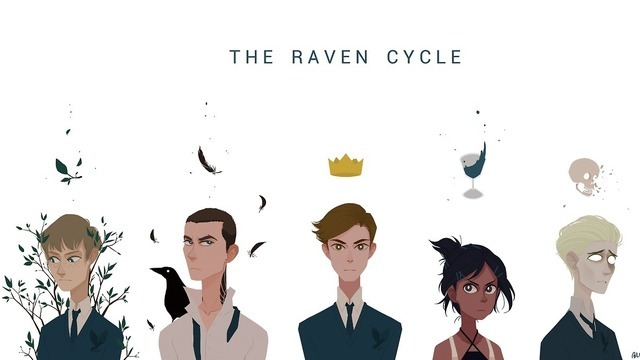 In this second installment of The Raven Boys, we follow lovely Ronan very closely as we discover more of his ability to steal things from his dreams. The list could go on and on, but really I’d just be re-typing the whole book. Guys, this book has me screaming over how many different ships are possible. I want Blue and Noah together (Boah?!) Blue and Gansey (Glue?!) Gansey and Adam (Gadam?!) Ronan and Adam (Radam?!) and everything in between. They all fit in a different way and I’m not sure what matches I want the most. Possibly Adam and Ronan. PSA: I am terrible at ship names. Maggie just blows me away every single time. The development of these characters is incredible and the writing is so beautifully elegant. You don’t even realise you’re learning about their backstory/friendships, it’s just all happening around you. The description of new places and people is also superbly done – so much so, that I don’t even know how I feel about the Grey Man – he’s a lovable hitman?! I can’t think any more cohesively than that I’m afraid. I can never express my love for the writing and for all of the characters – there’s just something so profound and real about them.